I know how popular my Shin of Beef recipes have been on this blog they’ve always topped the visitor page hits, so I hope you find this one to be just as wonderful as I did. 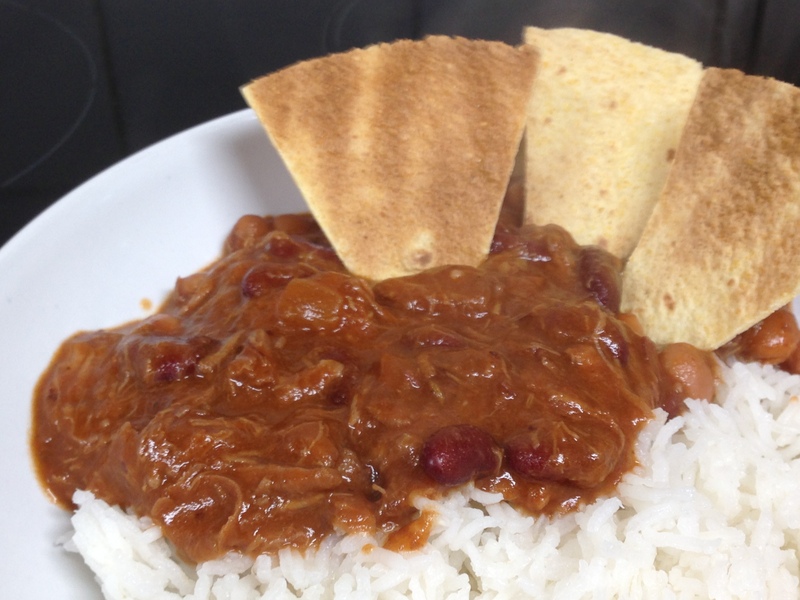 My original Chilli dish was one created from my student days – good food for the masses, but on a budget. It always appealed to everyone who tried it, and even converted my dear old mother to spicy food. This dish is different. It showcases the great features of Shin beef, in an unctuous sauce, spiced up with a hot, fruity habanero chilli. This takes comfort food to another level, and presents the kind of Chilli you’d consider serving for a dinner party! What’s more, it’s dead simple. You don’t need (or even want) to seal the meat. Just chuck it all in a casserole & let it do its slow cooking thing whilst you prepare to entertain your guests. This recipe uses on of my fresh Orange Habaneros, picked straight off the plant. These work really well and are widely available in supermarkets. You could also use dried Habaneros, or scotch bonnet peppers. I’d avoid the cayenne – type chillies (as much as I like these, they won’t give you the right level of intensity). At the same time, don’t go mad with the ‘Super Hots’ – the Morougas, Trinidad Scorpions, Bhut Jolokias, etc – remember at the end of the day, this should be a dish to enjoy which makes a feature of the beef, not a testosterone fuelled competition of who can eat the hottest food! Serve with you favourite accompaniments!